GLOW Physio runs small, personalised classes in a beautiful, private studio in Elanora on the Gold Coast. At GLOW, we can work through or around just about anything, even in a group setting! Well-devised Pilates sessions can improve your strength, tone and flexibility and can be an important component of a rehabilitation program if you’re recovering from an injury. We also offer specialised pre & postnatal classes to have you exercising safely and effectively through and after your pregnancy. If you’re new to Pilates or nervously returning after an injury or break from exercise (however long! ), why not try some one-on-one sessions to get that extra attention? 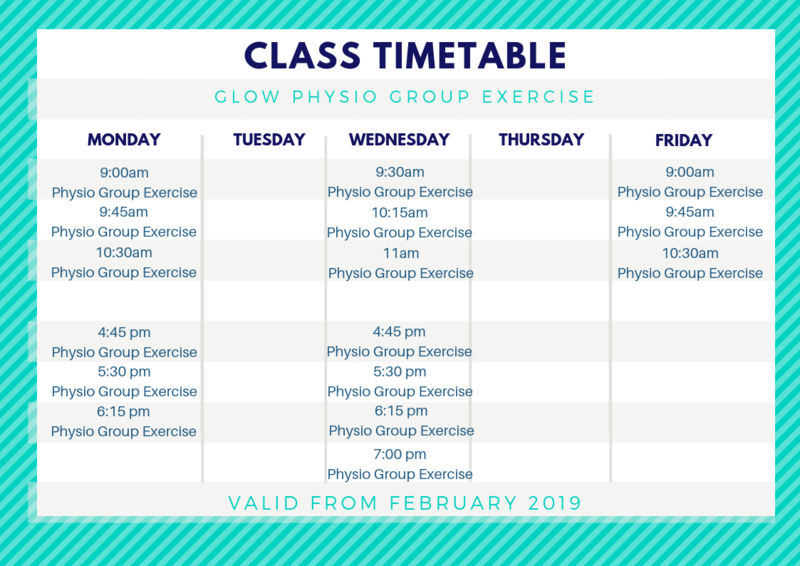 Do you love the idea of doing a class with your friends, but our timetable doesn’t suit? Why not organise your own private class at a time that suits you and us? GLOW loves seeing mums-to-be and mums with their bubs in Pilates! It’s one of our favourite things to help maintain and improve your strength, flexibility, tone and fitness through and after pregnancy. We know just how to keep you working hard whilst still keeping you and bub safe. We can work through and help improve pregnancy-related pelvic girdle pain, abdominal muscle separations and new mama niggles. You’ll feel so much better for it and only wish you started sooner! All classes run for 45mins and have a maximum of 4 participants. All classes will involve use of the Pilates reformer with some mat / ball / band work. All classes are claimable under private health insurance if you have extras (physiotherapy) cover. Before you start Pilates with us, we ask that you arrange a 1:1 assessment with our physiotherapist. This will run for approx. 30-40mins and will involve an injury and musculoskeletal screening, assessment of muscle function and an introduction to/revision of the foundation exercises for Pilates. The fee for this consultation is $75 and is claimable under your private health fund. All bookings for your assessment and classes can be made by phone call/ text message/ email.